We are currently living in a world on the cusp of major technological change. The way we work, travel, spend money and how we go about our general day to day may be quite different in the not too distant future and the world is currently abuzz with information about the technologies that are shaping how that future might look. Technologies such as Blockchain, Cryptocurrencies, Artificial Intelligence (AI) and those surrounding automation, in general, are all newsworthy subjects and you would have to be far removed from the modern day news cycles to have missed them. They do not all live in isolation though and there is a purpose that they all are trying to serve our greater good. There is a need now, more than ever to be thinking about the security of our modern day, online existence. I am not just talking about email passwords and online banking details but anything and everything that is connected to the internet. More and more ‘smart’ appliances are becoming a regular feature of our lives and while the idea of someone hacking into your smart fridge and have it order 10,000 eggs might not be keeping you awake at night, a malicious cyber attack on your car is something that could. ‘Smart’ or Autonomous Cars, if they haven't already, are coming to a road near you soon. There are a number of household names such as Google and Tesla that are already on the roads with their self-driving vehicles, trying to perfect their driverless technology and ensure people can trust the machines to keep them safe. Many cars are currently being used by the general public that utilizes some sort of autonomous function and relies on the car's software for day to day use. As more of these functions are added and have the need for wireless communications the more susceptible the vehicles will become to hacking attempts. Theft of driving and driver data, planting viruses in remote software updates and taking over autonomous functions are all realistic threats our cars will face, some of which could have fatal consequences. Their short-term goal is to release an OTA (Over-the-air Market) technology based on the extremely secure Blockchain, which will allow companies to remotely provide secure software diagnostics, installations, upgrades and bug patching. OTA version 1.0 is due to be released in Q2 this year but this is just the beginning of Cube’s plan, with the completed development of their autonomous vehicle security platform using blockchain expected soon. Creating a smarter and therefore more secure network for fully autonomous vehicles is the next stage of development. Autonomous vehicle security systems are going to need to stay ahead of the hackers so an AI layer will give the security system the ability to learn and adapt to the ever-changing threats. This layer of security is already being worked on and is expected to be commercialized in 2020. Cube is advocating for a more secure future not only on the roads but in your wallets too. They have created a cryptocurrency, one that they hope will one day become the primary cryptocurrency used in the Automotive industry. After an extremely successful ICO, the Cube AUTO Token was launched at the beginning of March on OKEx. Mr. Chris Lee, the CEO of OKEx and CUBE’s Chairman Dr. Bong Lee held a 5-hour one-on-one meeting. Mr. Chris Lee considered CUBE as one of the most successful companies and he visited South Korea to discuss various cooperation plans with CUBE. With AUTO now also being listed on HitBTC there is a growing hype around this crypto token. The idea for $AUTO is that it will be used with affiliates that provide automotive services, such as gas stations, mechanics, car insurance providers and car dealerships, with those vendors offering discounted services for Cube Token holders. Big data consumers like automotive companies, insurance companies, and traffic information companies will also pay Cube Tokens to drivers who agree to provide them with driving and vehicle information gathered by the OTA software. Cube is definitely a company to watch as they continue to innovate and grow. 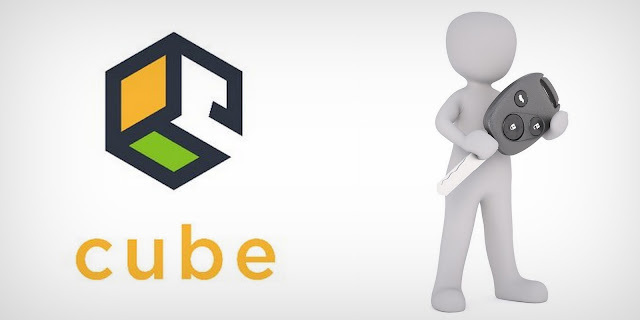 The more of our lives we live and keep online, the greater we are in need of feeling and being secure and Cube are definitely doing their part to help.